Cool. I like it. Can you make it compatible with Weather2 mod? Weather mod's raindrops are vanilla. 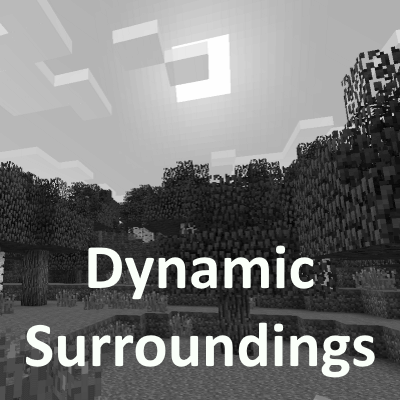 By default when you use Dynamic Surroundings and Weather 2 together you will not get Dynamic Surroundings rain visuals or auroras. If you want to make it happen you will need to change Weath 2's "Particle_RainSnow" advanced setting to false. Ok, so I completely created a new instance and loaded Forge and this mod and started up a new world. I got another crash. I did though find a 1.7.10 folder in my mods folder but nothing in it. Is this a bug that is causing this. I got this crash with just this mod. Following up. I think I found the problem. It's a bug in the 1.7.10 version. Was importing the Chicken version of MathHelper for some reason. :\ I will be rolling out an updated BETA sometime today/tomorrow. Its working fine for me. I'm using the latest version as well as Chicken Core... so I don't see why it would be wrong for someone else? They are not using any ChickenBone mods, so ChickenCore isn't installed. Latest BETA has a fix for this issue. Would there be a 1.7.10 file inside the Mod folder. I've actually had them before but for some reason the mods I'm using don't seem to generate them. Or I am just maybe looking in the wrong place. Looks like something is up with CodeChickenLib. MathHelper is a Java class in Minecraft, and apparently it wasn't hooked right by the Chicken code. Look in the mods directory in a folder called "1.7.10" to see if there is a CodeChickenLib file. I am using Multimc and there doesn't seem to be a 1.7.1.0 folder in the mods folder. Yes. Edit the dsurround.cfg config file and change the setting "Elevation Haze Factor" to something like 0.5. 1.0 means to use whatever the mod calculates; 0.5 means 50% of whatever it calculated. Which version of the mod are you using? You may need to set it even lower. this is excelent mod! i love it!